The most delicious novels, memoirs, and collections about food. Novelist Laurie Colwin writes about her relationship with food, cooking, and her craft. Here's a helpful review: "This book is so much fun to read. It feels like you're in her kitchen, having a good chat with an old friend. I would highly recommend it to anyone who enjoys food, cooking and/or entertaining." This short-story collection features contributions from writers all over the world, with a focus on food and culture. Here's a helpful review: "I really enjoyed the diversity that this compilation offers. The stories are testament to the fact that our fixation on food is universal, no matter the time, place or culture. The authors who contributed to this book are brilliant! Their masterful use of language, imagery and plot bring the short stories to life quite easily while capturing the readers' attention throughout. My favourites: 'The Mysterious Anxiety of Them and Us: A Stoku', 'Flesh and Bone' and 'Run of the Molars'." The second memoir from Eddie Huang, chef, author, and creator of the celebrated sitcom Fresh Off the Boat, explores Huang's navigation of fame and his enduring passion for food. Here's a helpful review: "If you read Fresh Off the Boat, then you know what to expect. If not, you might find the book profane and hard to follow. Eddie Huang does a great job examining identity, culture, family and love, albeit in a hip-hop fashion. It's a wild ride and I'm looking forward to the inevitable third book." No foodie's bookshelf is complete without Julia Child's delightful memoir about her love affair with French cuisine and culture. Here's a helpful review: "A charming, funny, self-deprecating book of life in Paris after the Second World War that brings alive Julia Child's passion for France and food. I've since recommended it to others and they've all loved it. This deserves to be much better known and shows what an innovator she was." In this fascinating read, John Rensten recounts a year in his life eating wild in the city as an "urban forager". Here's a helpful review: "When this book arrived it wasn't exactly what I expected. It was better. If you are looking for a reference book, this book is not just that. It is a story/memoir that takes you on a journey through urban areas highlighting what edible plants can be found and how they are identified. Identification isn't as in depth as some books. It also gives you ideas on what you can do with the plants you find, simple recipes." A romantic and refreshing read – with recipes! – from the wonderful Nora Ephron. Here's a helpful review: "I love this book. Nora Ephron is hilarious even when describing the fall-out of an affair and the effect it has on a marriage. There were passages which actually made me laugh out loud – which I don't often do. It's an unusual book – part autobiography (maybe), part cookery book, part tragedy, but well worth a read, and definitely a great choice for a book club." A rich and thoughtful culinary memoir that will transport you and make you hella hungry. Here's a helpful review: "The Language of Baklava is an ode to the author's multicultural heritage, family, and above all, the power of food as the framework of hospitality, healing, and the glue that holds things together. Peopled with lively characters who move in vivid vignettes of life in America and Jordan, the author's journey from resistance to her larger-than-life Jordanian father's expectations and strictures to embracing their warmth and good intentions is a mesmerizing read." Chef Amy Thielen recounts her lifelong relationship with food and cooking in this wry and astute memoir. Here's a helpful review: "I loved Amy Thielen's show on Food Network and was so excited for her memoir. It did not disappoint. As a fellow country girl, I appreciated her descriptions of the push and pull of going home. I practically drooled over the food she described. I feel more present in my kitchen and can also see the influences of my mom and grandmothers in my cooking after reading about her explorations of her culinary history." In this hybrid of investigative journalism and memoir, Marissa Landrigan charts her journey to find ethical ways to eat. Here's a helpful review: "From New York to Montana, California to Ghana, Iowa to Kansas, Marissa Landrigan writes about how the places she's lived and the person she was in those places shaped her understanding of the food system, social justice, and ultimately, mortality. The book opens with Marissa looking at a steer's head in a slaughterhouse but it's not only meat and death that Landrigan is trying to look at bravely and honestly but herself and the impact her choices make on the people around her and the ecological communities she inhabits. As a hunter she met in Montana said, 'We all kill a little, the least you can do is look at it.' I read this book as Landrigan's long hard look at food, death, privilege, choice, and ecology. I loved this book for its courage, its reflection, its vulnerability, and its refusal to provide simple or prescriptive answers to the the problems with the food system and the choices we have to make about what and how we eat." A sensory delight from a member of food writing royalty, The Gastronomical Me is a tasty and transportive adventure with M.F.K. Fisher as your expert guide. Here's a helpful review: "For anyone who lives tactically, and for those who enjoy the taste and aroma of white truffles, as well as the ferrous flavor of blood after a good fist fight, M.F.K. Fisher is a catalyst, who not only shares her experience of food and companionship, but triggers one's own memories , good or otherwise, of family, friends and important events. After reading The Gastronomical Me, I appreciate the memories of youth and the fiestas on Guam, goat cheese and rioja wine shared with a lover, and 'suffering a wound with the pleasure of a scar.'" An immersive and sensual novel that explores the magic and power of taste and smell. Here's a helpful review: "One of the most wonderful books I have ever read. The language is beautifully evocative. The story transports you into a magical fantasy world within a grim and gritty reality. This is a modern myth in the making. The author has created an oasis of sensual spices that you can practically smell and taste and touch. I literally got lost in this book, I was so immersed in its colour and creativity. Every time I get disillusioned with life, I escape into this warm, cosy haven of a book." In this insightful and funny collection of foodie stories, writer Elisabeth Loard offers a unique approach to food and travel writing by dividing her stories up according to the landscape and painting an immersive atmosphere. Here's a helpful review: "Interesting book. Very good to dip into. Also includes some unusual recipes although it is not a cookbook. 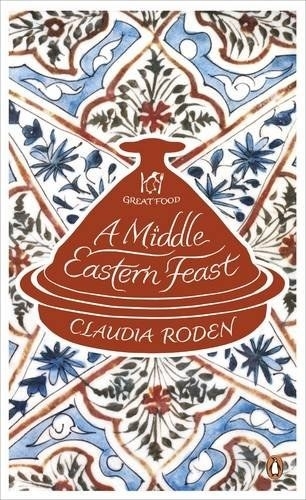 It is more a story of her travels around the globe and the characters she met, mainly focusing on the food." A completely fascinating read that explores the way we talk about food and how that language informs culinary culture. Here's a helpful review: "Easily one of the most compelling books I've read in a long time: fascinating if you love food, language, or history. Jurafsky has a clear-eyed view of how cultures interact, not to mention serious linguistic expertise, and he's an entertaining writer. This makes for a great combination with broad appeal." This inspiring read will feul your hunger and your wanderlust in equal measure. Here's a helpful review: "Tired of cookbooks packed with photographs of shiny and impossibly perfect food? Mina Holland's The Edible Atlas: Around the World in 39 Cuisines has none of these but comes as rather a relief to this middle-aged cook and reader. Comment and anecdote are mixed in generously with the recipes, the whole being served up to the reader with an engaging dash of youthful confidence and enthusiasm." Renowned chef Alice Waters relates her passionate journey as a restaurateur in this powerful ode to food culture. Kirkus Reviews says: "[Waters] does an artful job of showing how even the most apparently unrelated experiences helped lead her to her profession. She is also quite frank about her failures; her relationships with lovers, friends, and colleagues; and her pride in remaining a part of the 1960s counterculture that nourished her. An almost-charmed restaurant life that exhales the sweet aromas of honesty and self-awareness." Comedian Jim Gaffigan's ode to his love of comfort food is a joy to read, and promises to make you laugh AND make you hungry. Here's a helpful review: "Absolutely HILARIOUS book by Jim Gaffigan. As a fellow food consumer, I can seriously appreciate Jim's take on pretty much every single food in existence. He categorizes them by places all over the USA, each with their own names and types of food. This is the perfect bathroom book, since all the chapters are relatively short and he certainly doesn't skimp on the humor. " This well-researched memoir follows Kingsolver and her family on their quest to eat a locally sourced, ethical, and delicious diet. Here's a helpful review: "I've never felt moved enough to review a book before but this one is outstanding. It's such a wonderful mix of fact, storytelling, and delicious recipes that you can't fail to find something to interest you. The story had me gripped all the way, and I'll never look at a turkey quite the same way again! I'll be making a far greater effort to shop locally from now on. I'm already finding myself rather overwhelmed and slightly horrified by a trip to Tesco. Be warned, once you start on this your life is going to change." Food critic Jeffrey Steingarten offers a brilliant meditation on his life's work in food in this meaty, delicious collection. Here's a helpful review: "Absolutely wonderful. A food critic that would go to the ends of the earth to try something new, devour it and describe every mouthful so well that you feel full after reading." A unique "novel in sixteen courses" by food writer Mark Kurlansky. Here's a helpful review: "Scents and food, for some people, trigger memories, both good and bad. Here are 16 stories where people, their interaction through food and with others, are chronicled. A woman stops eating because she stops trusting those who prepare the foods, believing creme brulee to be toxic, a man finds himself standing with one leg in a hole in the sidewalk, with amnesia, no sense of smell or taste, a woman gradually becomes a vegan and serves tofurkey at Thanksgiving to her family, a man, known for delicious andouille sausages becomes the target of vicious rumors because he appeared bloody after emerging from the bayou, are among some of the stories shared. "These 16 short stories could stand on their own, but as you read through, you realize that some characters circle back through other stories, and that this could also be read as a novel in 16 parts." In this lush, descriptive book, Barbery spins the tale of France's greatest food critic as he looks back on his life and experiences. Here's a helpful review: "This little book is beautiful to look at, and beautiful to read. It's been cooked up so delicately, with such exquisite attention to detail, that surely Muriel Barbery must be one of the best authors writing anywhere in the world today – and this is in translation." Calvin Trillin's sharp observation and stories about food are the perfect witty appetiser. Here's a helpful review: "This three-book collection by Calvin Trillin always makes me smile as I see the life of a 'foodie' and recognize some of my own strong preferences for the exactly right combination of a dish or meal. Humorous and informative." Celebrated chef Gabrielle Hamilton tells her life story through kitchens. From family meals as a child to the New York culinary scene, this book is a fascinating love letter to making stuff taste good. 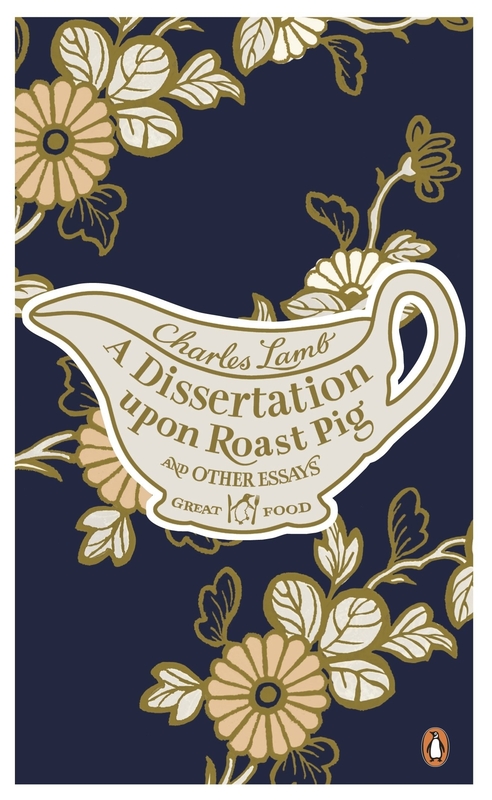 Here's a helpful review: "This is a book that really satisfies on both the food and the writing. The food part is covered by the engrossing tale of Gabrielle Hamilton's journey to becoming a chef, through her childhood meals, waitressing and contract cooking experiences, through to planning and running her New York restaurant, Prune. The details of each of these food worlds are colourful and interesting, and described in a much less macho way than Anthony Bourdain's Kitchen Confidential, perhaps the most obvious comparison in terms of chef memoirs." 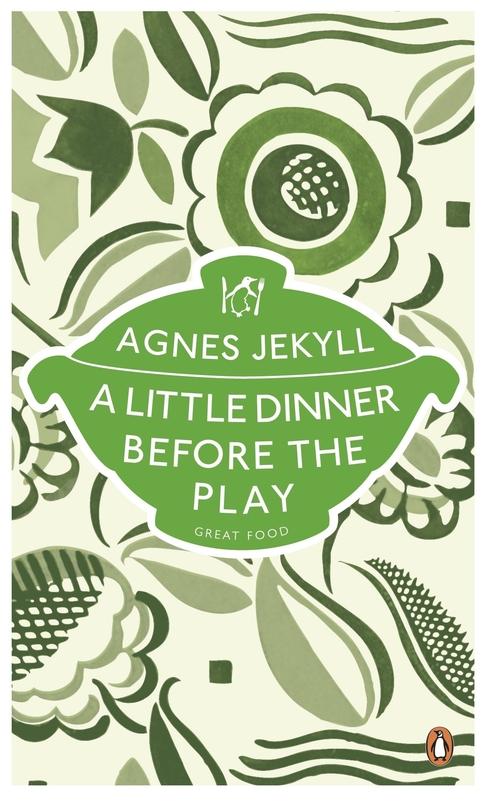 A funny and poignant collection of essays on cooking and eating alone. Here's a helpful review: "Some of the stories will lead you to be able to re-create the food or dish that meant so much to the author. Some will just make an emotional connection with you (you'll laugh, you'll cry, it'll become a part of you) and you'll appreciate the author's life view as reflected in their take on food. "Ultimately, you will read this book, you will feel your time has been well spent, and you will leave it on a conveniently located shelf so you can quickly check on the spelling of asparagus in German." This illuminating look into food science is perfect for readers who like to get smart while they get hungry. Here's a helpful review: "What a brilliant book! I am a big foodie that always wanted to explore more and this book just does it. I love the fact that food and physiology have been combined in the modern environment, and it really enlightened me on why we like the things we do. Recommended if you a foodie like me and what divulge into the deeper thoughtful of the human brain and food." This lovely novel combines food writing and magical realism in following a young girl who can taste other people's emotions. Here's a helpful review: "I really loved this book. While I wish that Bender had fleshed out Rose's ability a little deeper, and I felt it veered into unnecessarily strange territory at one point, I was really captivated by this book's heart and its soul. Some have said this is a ripoff of Like Water for Chocolate, but I disagree. Bender's creativity is fascinating and she really lavished a great deal of love and complexity on her characters. If you enjoy suspending your disbelief when reading fiction, if you're a fan of authors like Alice Hoffman and Audrey Niffenegger, then this book is definitely for you. But don't read it on an empty stomach!" Besides being an essential primer on food's favourite companion, Bianca Bosker's incredible book offers an investigation into taste, smell, and restaurant culture any foodie will appreciate. Here's a helpful review: "Having done quite a bit of wine-tasting in Napa, Sonoma, Russian River, and Paso Robles, I have always been sceptical of the relationship between marketing, price and flavor. This book has settled many of my questions and was very entertaining to boot! She investigates the subject of wine from many different angles, and comes up with some well-reasoned and persuasive arguments to make her case. This book really fills a gap for those who want to have a broad understanding of the wine industry without diving too deeply into the science. I am willing to spend a little more on wine than before as a result of reading this well-researched, excellent book." This stunning collection brings together 20 seminal works on food from around the world and through the centuries. Here's a helpful review: "Taken as a whole, the collection is a solid introduction to the breadth – but not depth – of the world history of food over the past 400 years. The selection of writings by each author are, in many cases, incomplete, covering only a small portion of the work of their entire career, but if you’re looking for a comprehensive introduction to the social, cultural, and anthropological history of food and eating, you won’t be disappointed." Get the box set on Amazon, or browse the individual titles.